Great learning opportunity at Noosa’s leading agency – clear plan & supportive management to build your dream career. Four Offices One team APPLY NOW! Join one of our Noosa offices and work within one of The Sunshine Coasts ‘most respected real estate names, Laguna Real Estate! Whether you are looking for a career change or a career start, and you are local who wants to help clients with their biggest financial decision, this is the opportunity you have been waiting for. Join one of our dynamic office in Noosa Heads, Noosaville, Tewantin or Gympie and start your sales career working in the real estate environment of your dreams. Have you wondered why there are always so many adverts for real estate sales jobs? Because the failure rate in the industry is very high because the role does not suit everyone. Selling real estate seems simple, and indeed some parts are, but it’s inherently a complex process of guiding families through a huge financial decision often at very stressful times in their lives and all this within a very tightly regulated process. For agents who learn to juggle these pressures, it’s a very rewarding job both emotionally and financially. Find out if this could be you. The first part of this process is the careful selection of staff to join our team using a sales specific selection system called Sales Inventory Profile (SIP) which identifies if you have the inherent ability to work in Real Estates even if you have no prior experience. We won’t let you give up your current role just to ‘have a go’. If we offer you a role it will be because we can see you have the right ingredients needed to succeed and we will back our decision with extensive training and on-going sales support. When you join us we commit our resources and a clear process from day one to your learning, to ensure your first year is profitable and from there on, stellar! We will push you to be your very best but never leave you alone to wonder what to do next. Our approach is to step training into sections so you learn and then implement the stages one at a time. We take training very seriously and offer you the support of our full-time Training and Development Manager; Les Miller, as well as extensive training resources and sales tools. Les has been a successful listing agent who is now focused full time on enhancing the skills of all staff including a structured trainee program for new recruits. Les is passionate about skills development and utilising technology and people skills in smart and effective ways to build success for both the business and each of our team members. No matter what your level of success he will inspire and work with you to help you grow to the next level of excellence. Started in 1977 in a Caravan when the first soil was being turned for the development of Noosa Sound by an experienced local agent, Olivier Miller. Since then Olivier has steadily grown the business to 3 offices on the Sunshine Coast and one in Gympie. That’s a lot of real estates to have helped local families buy, sell, and rent. That’s many, many changes in the market, the industry and legislation that we have not just adapted to but thrived through. How do you sustain and grow a business for 40+ years? By dedicating yourself to people and creating excellence in every relationship: with clients, each other and the community. Every day matters, every conversation matters. From her first staff member Olivier has focused on training and mentoring her people and continually equipping them with best-in-market tools so that they can confidently service and support our clients. This dedication to excellence has been acknowledged in numerous local state and national across every function in our business. Including 32 awards from the Real Estate Institute of Queensland since 2002. Earlier in 2019 our fabulous accounts and HR Manager, Eric Sutherland, was awarded Corporate Support Person of the Year. We know everyone says this … but here it’s true. We think you will see the difference in our energy and attitude when you talk to us. Laguna is a happy and diverse team. As each team member has their own clearly defined territory, we all have plenty of opportunities to pursue without needing to compete internally. There is real cooperation across the entire team regardless of the office or role to ensure that all members are as successful as possible. We share the common goal of building a great business and each person’s success is important to us as a whole. When we succeed we celebrate together and with our community by regularly participating in local events, sponsoring numerous organisations and giving to charities of all types. We have contributed over $1.1mil in the last decade through funds raised, hours contributed and items donated from running entire surfing competitions to serving at stands for local school events. We have realistic targets for your first year with us that are balanced between achievement and challenge and we will reward you proportionately for exceeding these. We start you with a full salary for the first 3 months of training or while you remain in the lead generator role before going to full agent status with a commission structure. 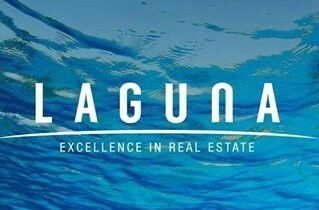 That’s what we offer to the right candidates at Laguna Real Estate and that’s how we will help you build your real estate selling career with us. You have a clean drivers license and use of a car. At the bottom left of the home page, go to box: 1.Candidates – Apply for a Job and click on ‘Start Now’. Follow the on-screen prompts and complete the questionnaire. Finally, load your résumé and cover letter even if you have sent it already. This entry was posted in and tagged career in real estate, Get a job in real estate, how do I get a job selling real estate, Laguna Real Estate, real estate jobs on the Sunshine Coast, real estate sales training by Maya Saric. Bookmark the permalink.